Frankie Bordeaux (b. Jan. 6th, 1958 in Wilmington, North Carolina) is an African-American business leader and entrepreneur from Greenville, North Carolina. A former executive director of a boys and girls club, Frankie Bordeaux is noted as a strong advocate for early childhood education. Frankie Bordeaux holds a Bachelors of Science degree in Physical Education and Health from Elizabeth City State University (1980). He is a 2009 graduate of the Institute of Political Leadership. Bordeaux is a lifelong member of the Omega Psi Phi fraternity – an African American public service organization promoting education, service and positive leadership among African-American youth. In 2010, Frankie Bordeaux ran in the North Carolina State Senate race. He was narrowly defeated. Notably, Frankie Bordeaux attended public high school and is known in his community as a supporter of the public education system. Bordeaux retired in 2004 from the Nash and Edgecombe County Boys and Girls Club and currently focuses on real estate development and property management. Frankie Bordeaux is one of six children. He is married with five children. He and his family attend the Sycamore Hill Baptist Church in Greenville. Frankie Bordeaux began his career with the Boys and Girls Club of America shortly after college graduation. In his first position, he was hired as the program director for the Durham, North Carolina, branch of the Salvation Army Boys and Girls Club. He later accepted a position with the Winston Salem Boys and Girls Club in Winston Salem, North Carolina. . In August of 1985, Frankie Bordeaux was appointed as Executive Director of the Nash and Edgecombe County Boys and Girls Club. 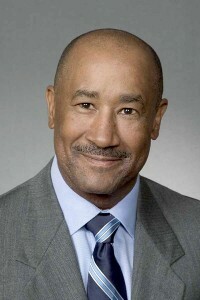 During his career, Frankie Bordeaux initiated many community projects, child development programs and fundraisers for the Boys and Girls Club. Frankie Bordeaux has received many personal, political, and professional accolades throughout his 35 year career. Notably, Bordeaux is a recipient of the US Marine Corps excellence in leadership award. Former affiliations with civic organizations include the Paul Harris Fellowship of the Rocky Mt. Rotary Club; Kiwanis; former member of the United Way; Board of Directors at the Greenville, North Carolina, Branch Bank and Trust; and Unity Lodge 64 – Prince Hall Affiliate. Currently, Frankie Bordeaux directs his energies on renovating and redeveloping properties in and around his hometown of Greenville, North Carolina. Frankie Bordeaux focuses primarily on residential real estate and responsible redevelopment. Frankie Bordeaux has been an NCAA Basketball official for 21 years, officiating more than 450 games across the eastern and southern United States. He is known by the coaches, fans, and players as an official with a strong love of the game and for an absolute reliance on the official NCAA rulebook. Throughout his career, Frankie Bordeaux has been known as an advocate for the children in his hometown. Having grown up in a working class family, Bordeaux remains guided by the moral, social, and spiritual teachings that were instilled during his youth. Frankie Bordeaux stresses to the youth of his community that the cycle of poverty does not have to continue for future generations. He is often quoted as saying that education and hard work are the foundation of a successful adult life. Frankie Bordeaux was born to William and the late Carrie Bordeaux in January of 1958. He was one of six children and grew up in a working class family in a working class neighborhood in Wilmington, North Carolina. Frankie spent his early childhood in the Jervai Projects – a public housing community in Wilmington. Later, the family relocated to a working class neighborhood in Wilmington, North Carolina. After graduating from Hargett High School, Frankie Bordeaux obtained a bachelor’s of science degree in physical education and health from Elizabeth City State University. Growing up, Frankie Bordeaux recalls his father being a strict disciplinarian and instilling the values of hard work, honesty, and integrity in the Bordeaux children. His mother, a homemaker, taught Frankie and his siblings how to make the best of life and encouraged them always to rely on their Christian faith and remain faithful to their moral compass. Frankie Bordeaux credits his parents for offering him a level of familial support that nurtured and sustained African-American children growing up in the 1960s and 1970s. He claims that despite the family’s financial shortfalls, he was taught never to desire what others had, but to focus instead on personal development.